Broccoli is known as the “king” of the cruciferous family (cabbage, cauliflower, etc.). It has a large stalk branching out to smaller stems with heads of florets, looking like a miniature tree close-up. Other related vegetables are broccolini (cross between broccoli and kale) and broccoflower (cross between broccoli and cauliflower). Different variety of broccoli tastes different, ranging from soft to fibrous and crunchy. Even the color ranges from deep sage to dark green to purplish green. This vegetable is packed with nutrients, phytonutrients and antioxidants. It is also highly valued for its abundance of anti-viral, anti-ulcer and anti-cancer activities. Broccoli is packed with spectacular and unique disease fighters. It is abundant in a variety of very strong antioxidants like quercetin, glutathione, beta carotene, indoles, vitamin C, lutein, glucarate and sulphoraphane. This synergy of antioxidants make broccoli a very good food for anti-cancer activities, particularly against cancers of the breast, cervical, prostate, colon and lung. Low in calories, broccoli is especially rich vitamins A, C, K, B6 and E, calcium, folate, phosphorus, potassium, magnesium. The phytonutrients and antioxidants in broccoli help boost our defense mechanisms and stimulates production of antibodies to fight cancer. 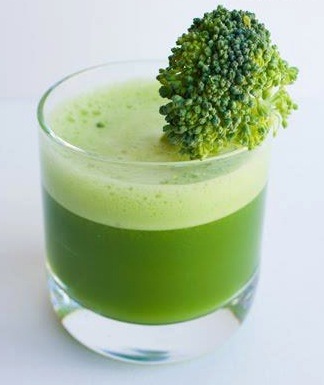 Bone-building: A cup of broccoli juice a day goes a long way to provide calcium for strong bones building. Far better than cow’s milk that contains saturated fats and has no other healing virtues as broccoli does. Birth defect, prevent: The rich antioxidant compounds protect sperms and prevents them from genetic damage and possible birth defects. Breast cancer: Broccoli has an anti-estrogenic compound known as glucosinolates that are especially helpful to excrete excess estrogen that are linked to breast cancer. Digestive system: Like all cruciferous vegetables, broccoli promotes good colon health, protecting against constipation and colon cancer. Eye disorders: The high antioxidant level in broccoli promotes overall good health and is the best defenses against eye diseases. Lutein in broccoli is especially protective for age-related macular degeneration. Immune system: Just half a cup of broccoli juice a day will provide more than your daily required vitamin C that helps boost immunity and fight many diseases. 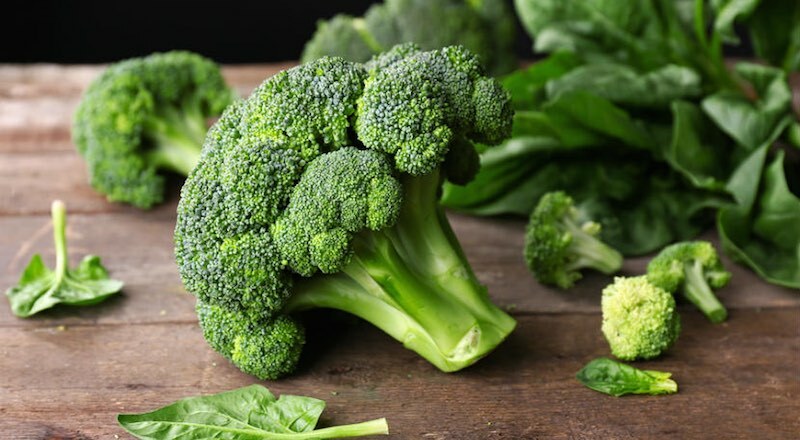 Prostate cancer: Indole-3-carbinol in broccoli is a remarkable cancer-fighting compound which not only fight breast cancer, it has also been shown to be helpful in fighting prostate cancer. Skin: The high concentration of sulforaphane in broccoli helps to boost liver and skin’s detoxification abilities, helping the skin to repair damages done from over-exposure to the sun’s UV harm. Stomach disorders: The high content of sulforaphane in broccoli may help to rid the body of the Helicobacter pylori which is responsible for most peptic ulcers. It also helps other stomach disorders like gastritis, esophagitis and acid indigestion. Tumors: Sulforaphane is found in extremely high concentration in broccoli sprouts, that help stimulate the body’s production of detoxification enzymes which may help reduce the size of tumors. When buying broccoli, choose those with deep green color, and stalks and stems that are firm. Store dry in an open plastic bag in the refrigerator up to about four days. A centrifugal juicer can extract only very little juice out of broccoli but a gear juicer does the job perfectly. You can mix broccoli juice with carrot and green apple juice to make it palatable. Drinking broccoli juice raw is best to obtain the most nutrition out of it.